The unique optical design combines the advantages of a USB-microscope digital camera to the precision optics of a microscope illuminated with LED lights. With the 20-200-times magnification, you can determine the fine structure of surfaces. This compact digital microscope is ideal for analyzing coating failures, imperfections, pretreatment quality etc. 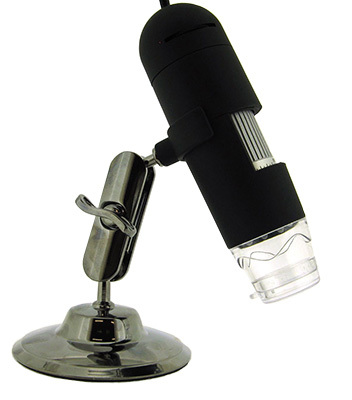 The microscope can be used in direct contact to the surface or at larger distances. The 8 integrated White Light LED's are adjustable in strength guaranteeing a clear view without causing reflections. Always keep the instrument in its case when not in use.